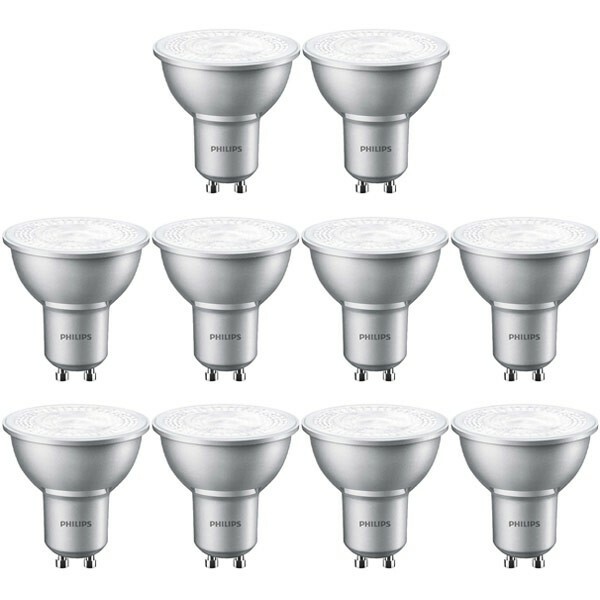 This 10 pack of LED GU10 spotlights is perfect if you're replacing all the lamps in your room. At just £4.20 each, it's our cheapest dimmable LED GU10! The Philips Master LEDspot is a 4.3 watt energy saving replacement for 50W halogen spotlights. It has a GU10 cap fitting and a cool white colour finish. We also stock warm white 3000K and very warm white 2700K multipack versions.